A bunch of 2016 Oscar nominees and must-own Criterion releases just hit Blu-ray. Pick your favorite! Sheila writes: The 16th annual Roger Ebert Film Festival was a huge success. To those Ebert Club members who sought me out to say Hello, or who came to the Meet and Greet, it was so nice to get a chance to talk with you! Thank you! I would love to hear your impressions of the Festival, if you care to share. What were your favorite films? Did you attend any of the panels? What were the highlights for you? And for those of you who were not there, here is a Table of Contents page with all of the dispatches from the festival written by various Rogerebert.com contributors. It was a great time, and Chaz, as always, was a wonderful organizer and emcee. Of course, Roger was so missed. You cannot help but miss his presence. It is a beautiful thing, though, to know that the tradition will live on. Francois Truffaut once said that it was impossible to pay attention to a film shot in the house where you were born because you'd always be noticing that they wallpapered the bedroom. I knew I was in for the same sort of problem in the opening scene of "The Hot Spot" (opening Friday in Chicago). 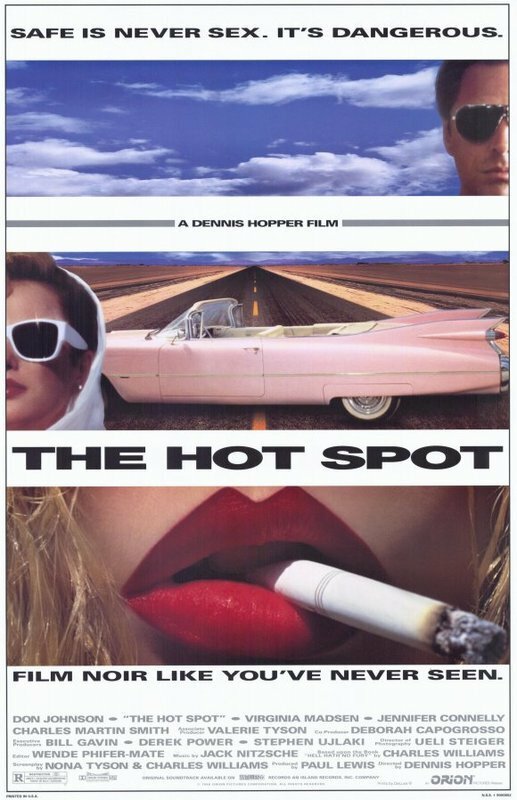 Dennis Hopper's new thriller was made in 1990 but its psychic center is 1957, and Don Johnson, who plays a mysterious stranger from out of town, roars onto the screen in a 1957 Studebaker Golden Hawk.